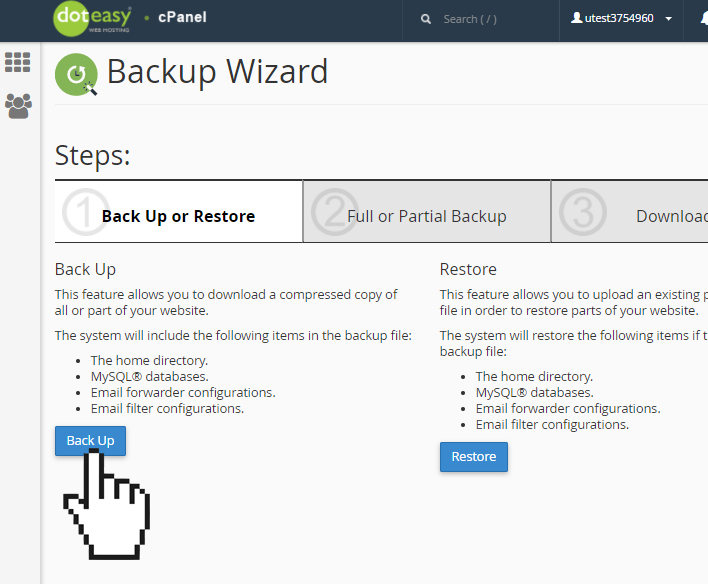 Let’s take a look at host to create a full backup of your website using the Backup Wizard. 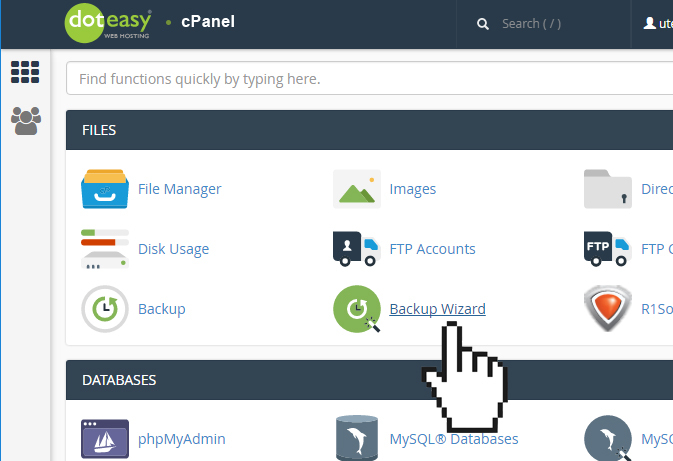 Click on Backup Up to start the backup process. 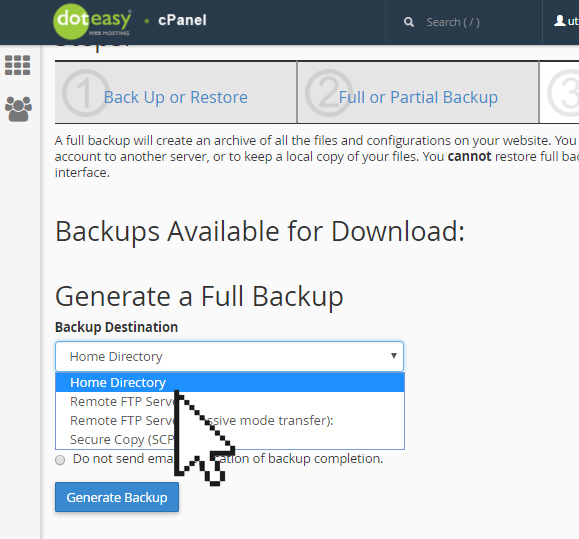 Use the Backup Destination drop-down menu to select where you want cPanel to store the compressed backup file. If you are not sure, select the Home Directory option. If you want to receive notification of the backup completion, then enter your email address in the Email Address field. If you do not want to receive any notifications, then simply check the Do not send email notification of backup completion option. When ready, click Generate Backup. 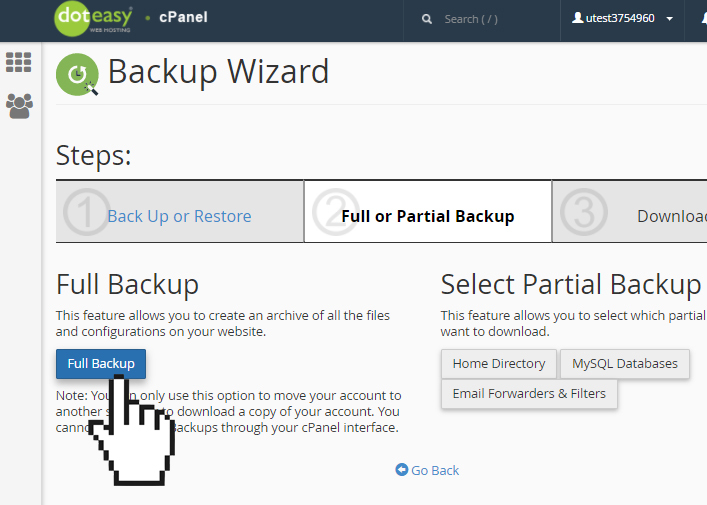 When the backup completes, you will see a download link under Backups Available for Download. Click on the link and you will be able to download the compressed file on to your local computer.